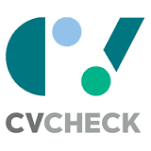 CV Check Ltd (CV1) is a Perth-based online screening and verification service that listed on ASX in September 2015. It has been the recipient of numerous awards and recognitions for its online verification services developed and grown out of Western Australia. We acted for CV1 in relation to its pre-IPO seed raising of $2 million in April 2015 and continued to act on its IPO later in 2015 and successful listing on ASX. We have continued to act for CV1 in relation to its subsequent capital raisings to fund further growth and on its general corporate matters.